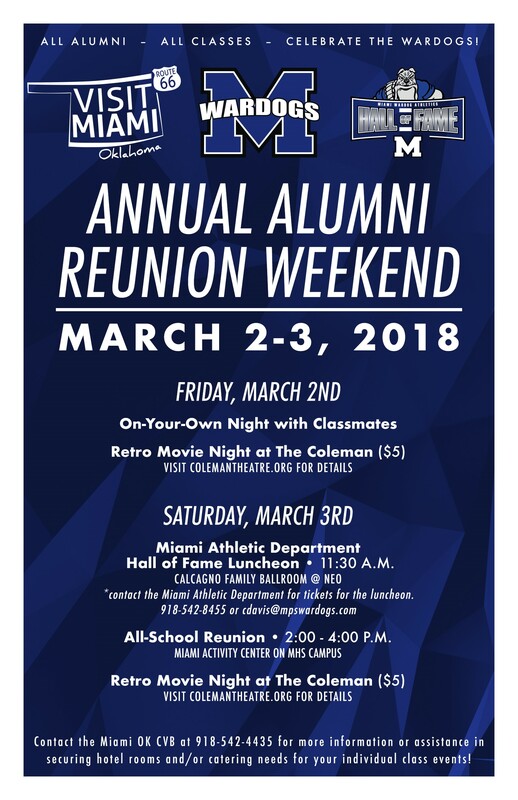 The Miami OK Reunion Weekend is scheduled the first weekend in March each year. In 2018, the event will be held on March 2-3. Make plans to join Wardogs from all classes and celebrate a weekend of being home in Miami, Oklahoma. To be added to the Miami Alumni database, please fill out the form below. For more details, contact the Miami OK CVB at 918-542-4435.